At the beginning of June in the year 1690 the duke Vittorio Amedeo II of Savoy entered the Allied camp [League of Augsburg] against the French signing a treaty with the king of Spain, who was to send an army from the bordering state of Milan to join the troops of the Duke in order to act against the French and conquer Casale and Pinerolo (two towns held by the French in Piedmont and Monferrat), while other subsidiary troops were to be received from the Austrian Empire with which a similar treaty was also subsequently signed. A French army constantly in Piedmont throughout the war was lead by Nicolas Catinat, a very experienced and valued General. The campaign of the year 1693 in Piedmont started with the shelling of the town of Pinerolo by the Allies and their seizure of the fort of Santa Brigida near the town, but on the 4th of October the French, who had received reinforcements from the armies operating in Catalonia and on the Rhine, beat the Allied army in a field battle at Marsaglia near the village of Orbassano, called by the French La Marsaille (the name of a small abbey nearby), capturing many flags and about 30 artillery pieces. The stroke was severe and the Allies, who had lost about 8,000 men among wounded and dead, had to retire to their strongholds to reorganise. The French did not waste time and set many villages in the area on fire, at the same time they were not able to pursue their enemies further because of the weakness of their supply lines and also of the losses incurred by them in tha battle. This fact allowed the Allies to rebuild their forces. The following information on the army of Savoy has been taken from the booklet: "The Army of the Duke of Savoy 1688-1713". 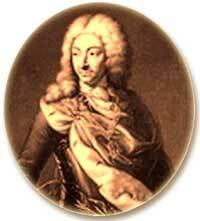 In 1693 the Duke of Savoy's army included "ordinance" (regular) troops and militia units. Until the year 1663 Piedmontese infantry regiments generally carried the name of the Colonel who was the proprietor of the unit. Since 1664 new regiments were created that were no longer owned by particular individuals but were instead the Duke's and carried the name of a town or a province. In 1693 the national infantry was organised into the 11 regiments of the Guardie (foot Guards of the Duke), Savoia, Monferrato, Aosta, Piemonte, Nizza, Croce Bianca (= White Cross; so called for the officers were all to be knights of the Order of Malta), Saluzzo, Chablais (also often spelled Chablaix), Mondovì and Fucilieri. During the war the national infantry regiments had generally a strength of one battalion 16 companies strong, each of about 40 private soldiers including corporals and drummers, 2 Sergeants and 3 company officers (captain, lieutenant and ensign). The regimental staff was composed of the colonel, lieutenant-colonel, major, an aide-major, a quartermaster, a drum-major, a sutler. The Guards and some of the other regiments formed second and sometimes third battalions. Each regiment had a company of grenadiers. Given the limited population of Piedmont-Savoy in case of war when there was a need of additional strength as was the custom of the time, mercenary troops (Swiss or German) were taken into the Duke's service. The foreign regiments of the ducal army were all infantry formations, named after the commanding officer, and a good number of them was composed of Protestant soldiers in contrast to the Catholic Piedmontese. These troops were often paid for by the British crown or by the Dutch government. In the first years of the war most of the foreign regiments were recruited in the German states. In 1691 the Duke took into his service two foreign infantry regiments, one named Corneaud, from Brandenburg, and one named Montbrun, made of French protestants. In the following years more foreign regiments were brought into his service by the duke: those of Steinaud and the regiment of Foot Guards of the Elector (Bavarian) and the three Protestant regiments of Schomberg (Galloway after 1693), Miremont and Montauban. Auxiliary troops (from the Allies of the moment) also sided with the Piedmontese army; these troops (Imperial or Milanese-Spanish army) stayed under the command of their own generals, even if the overall command was given to the duke of Savoy. In 1685 the existing mounted units with guards duties for the duke and the dowager duchess were organised into four companies of Guardie del Corpo (Body Guards), this although a guard and ceremonial unit was also meant to be present on the field : the Guards were always in the front line, as was the Duke himself. Since July 1692 the ducal line cavalry consisted of the two cavalry regiments (Piemonte reale and Savoia Cavalleria) and the three Dragoons regiments of Sua Altezza Reale (formed in 1683, and also popularly named the Reds), Genevois (created in 1689 and called the Greens) and Piemonte (created in 1690 and called the Yellows). Each regiment had 6 companies of about 50 men each. Utilising French Huguenot emigrees in 1691 the dragoon regiment of Balthazar was formed (the cost of which the British court sustained and which in 1696 passed into Dutch pay). The infantry soldier was dressed with a coat (juste-au-corp), lined with half-wool, much the same style as that of the French army - for many years, also when at war with France, cloth and tailors were generally French - knee-breeches and stockings, shoes, 2 white linen shirts, a neckcloth (red or white) and a black felt hat. All belts were natural leather. The cartridge boxes were of brown leather, sometimes blackened. Sword and bayonet scabbard were generally brown leather. Since 1685 soldiers had been equipped with bayonets, but kept also an infantry sword with brass hilt. Pikes in the line infantry were discarded before the turn of the century. Grenadiers wore a woollen cap; probably towards the end of the 1690's the cap was surrounded by fur; they were armed with a sabre, a bayonet, two pistols and a musket. Officers of grenadier companies in garrison carried a spontoon, but in the field they had to carry muskets. The privates of the regiment of the Guards wore a blue coat with red cuffs, red breeches and stockings; the hat was bordered in silver lace. Sergeants were dressed with cloth of a finer quality, and had scarlet cuffs and silver lace instead of white cotton. Drum major, drummers and fifers of all national regiments, the Guards included, were dressed in a red coat with blue cuffs and lining, blue breeches and stockings (in some regiments they wore breeches and stockings as the privates of their unit). The drum belt was covered with a blue or red cloth with white or silver lacing and trimming (a sort of "snake" as it was called) in the middle. The same lace was on the coat at the seams, the cuffs, pocket flaps. Drums were generally made of wood and painted in blue or red with the Duke's or the regiment's arms and small white crosses scattered at regular intervals on the drum (Savoy's arms). All the other national regiments were dressed in light grey (white-grey) cloth, with the colours of the cuffs, linings etc. according to table 1. The buttons were white metal for the regiments of Guardie, Croce bianca, Saluzzo and brass for the regiments of Savoia and Monferrato. Sergeants were generally dressed as the soldiers with cloth of a finer quality; sometimes their vest could be the colour of the cuffs when the men wore it or grey-white. Corporals were distinguished by a lace hanging from the right shoulder.Sergeants were also distinguished by the use of the halberd (called "Sergentina"). Officers wore a blue sash (the ducal colour) around the waist or sometimes across the breast. The Bavarian regiment of Steinau (later de Prè or de Prez) was dressed in blue with red cuffs, vest and stockings; buttons were white metal for the ranks and golden for officers. Officers and sergeants, as well as drummers, were dressed with reversed colours, i.e. red dress with blue facings. The neck tie of the soldiers was red. The Brandenburger regiments of Corneaud was dressed in a blue coat with facings and linings probably red (more details can be drawn from the work of A. Kühn, see references). The protestants' regiments and free companies were generally dressed in grey-white with cuffs, lining, breeches and stockings of the same colour. The troops of Artillery at the beginning of the war were not considered military personnel and could dress as they wished; after 1696 they were instead equipped with an all-blue dress with facings, lining and breeches of the same colour, with brass buttons and red stockings. The Colonel's colour of national regiments was blue with a white cross in the centre, while battalion colours were crimson red with a white central cross. Often in one corner they carried the regiment's arms. The colours of the older regiments were more elaborate, often having borders and flames of various colours and designs in the centre of the flag. The colonel's colour of the Guards regiment carried the Duke's arms held by two golden lions; the Guards' battalion colours had in the four corners the duke's initials in gold; some had white flames in the corners, others had in the right upper or lower corner the regiment's arms. The protestant regiments paid by the British government carried colours with British insignia upon them, while the other foreign regiments (from Bavaria and from Brandenburg) kept their own insignia. The dress of cavalry consisted also of a woollen cloth coat, trousers and a hat bordered with lace, black riding boots (shoes off-duty) and stockings. Cavalry on campaign used a buffalo leather jacket above the coat (a reminder of the early days of the previous century - called in Piedmont, as in France, buffle) which they wore on campaign for protection against sword cuts and at the same time to protect uniform dress. Leather breeches were also worn on campaign. The Guardie del Corpo were dressed completely in scarlet-red with silver lace around button holes and pocket flaps and around the hat and carried a blue shoulder belt laced silver. Black riding boots were worn. They wore red cloaks laced silver. Since 1685 they were ordered to wear the buffalo coat on campaign, as did the ordinary cavalry. They were armed with a broadsword, a carbine and two pistols each. Their guidons were blue with golden and silver embroideries and golden fringes. The line regiments of Piemonte Reale and Savoia Cavalleria were dressed in white-grey with red (Piemonte Reale) or blue (Savoia cavalleria) facings. The dragoons were dressed similarly to cavalry, but wore leather gaiters instead of boots when mounted, and usually the soldiers wore a woollen cap (probably red or the coat's colour) instead of the hat. Of the Dragoons regiments H.R.H. 's (Dragoni di Sua Altezza Reale = His Royal Highness) regiment, known also as the "Reds", was dressed in the colours of the Duke's livery, that is a red coat with blue facings. Their guidons were crimson red with the regimental arms in the middle. When it was formed the Genevois regiment was dressed in green with red facings and brass buttons, and was also known as the "Greens". After some years it was dressed in red with green facings and vest, keeping the nickname. The guidons were crimson with Savoy's arms and the Duke's initials. The regiment of Dragoons of Piemonte initially wore yellow coats (and hence the popular name of the "Yellows") with black cuffs, red trousers and brass buttons. The cloaks were red. In 1691 a new colonel was appointed to the regiment and he changed the dress to a red coat with grey-white cuffs and lining and [probably] red trousers, even though the regiment continued to carry its nickname "the Yellows". We don't know the colours of the dress of Balthasar's Dragoons, but we know that the pistol holsters were blue, thus either the coat or the facings were blue; in 1696 it joined Dutch service as the Aubussargues regiment (the change of Colonel occurred in 1694). As in the infantry all belts were natural leather; gloves were also a buff colour. Cavalry saddle cloths and pistol holsters were generally in the facing colours, bordered with white or yellow lace (blue for Guardie del Corpo with golden lace). In the corners there were generally the duke's initials or the arms of the regiment. Teil 10 "Heeresrüstung des Herzogs Victor Amadeus II von Savoyen-Piemont"
Teil 6 "Maximilian Emanuel, Kurfürst von Bayern ..."
Archivio di Stato di Torino Sez. I & II, Materie Militari - Ufficio Generale del Soldo. Archivio di Stato di Torino Sez. I & II, Materie Militari - Imprese militari.